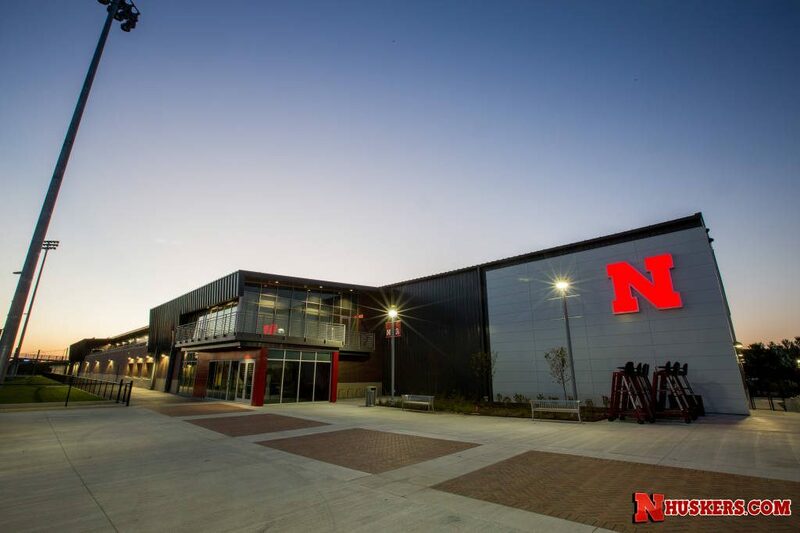 Completed in the summer of 2015, The Sid and Hazel Dillon Tennis Center provides Nebraska men’s and women’s student-athletes with some of the nation’s best competition and practice facilities. 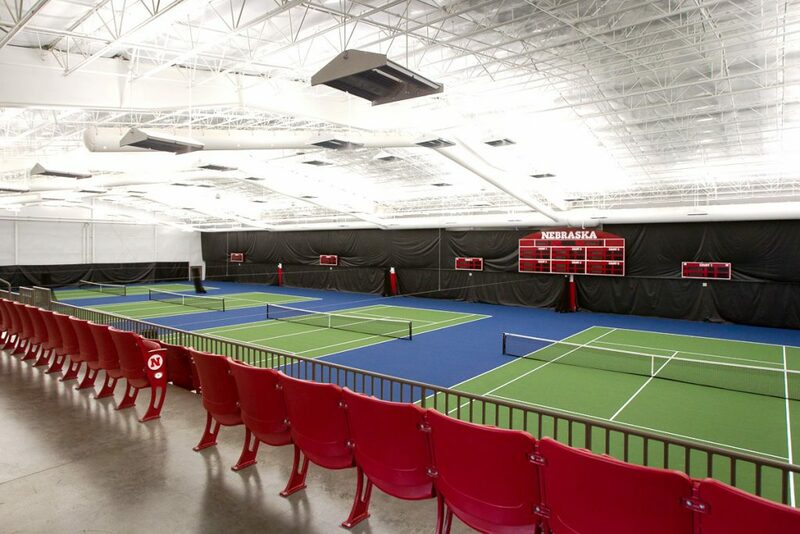 The facility includes six indoor tennis courts for which LSI supplied (96) SXS2 LED Indirect fixtures, which produce over 100 average foot-candles of glare-free illumination. In addition, the SxS LED system requires virtually no maintenance over its 60,000 to 100,000 hour life. Most importantly, the SxS system will require 50% less energy cost than conventional lighting systems. August 4, 2015: Four of the six indoor tennis courts at the Nebraska Soccer and Tennis Complex in Lincoln, Nebraska.